Dennis had carefully thought through the fabrication of the tank and made up six 300mm lengths of angle iron to act as internal columns. These have been spaced as a grid inside the tank. Rather than having the lid of the tank as one section of steel plate Dennis has made it out of two sections. 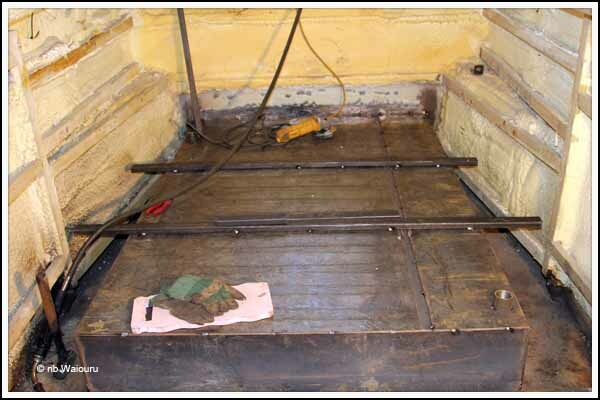 This gave him room to reach under the larger section and weld the angle iron columns to the top and bottom of the tank. Then the second part of the lid was tack welded into place. The heat from the welding the bottom edge the side plates to the baseplate had distorted the top edge so Dennis and I used levers and a hydraulic jack to straighten each edge. Whilst I held the lever he tack welded the top plate to the side. 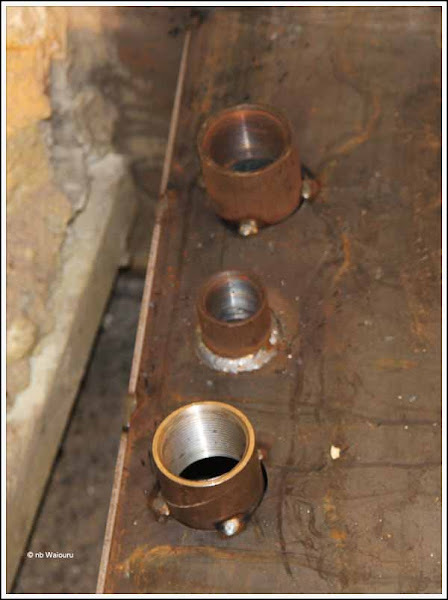 We now have three sockets at the stern, starboard side. The far socket is the for the pumpout pipe. The middle is the rinse connection and the closest is for the breather pipe and carbon filter. At the diagonally opposite corner is the inlet socket. There is an internal pipe running from the rinse socket to the inlet socket corner (see red line in the following photo). The idea is the rinse water will flush the base of the tank. 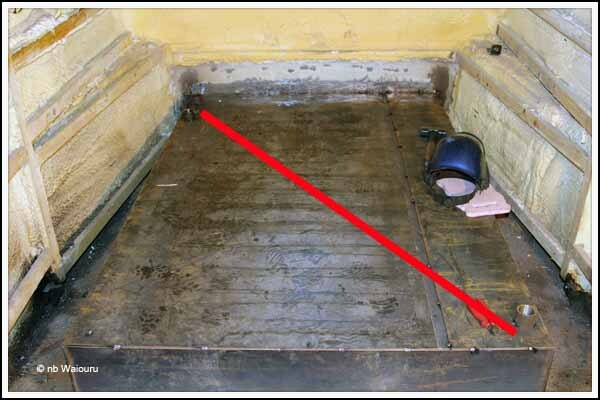 2”x1” box steel has been welded across the top of the tank to act as floor joists. All of this has only been tack welded whilst Dennis makes sure everything is aligned. Only then will all the joins be welded. 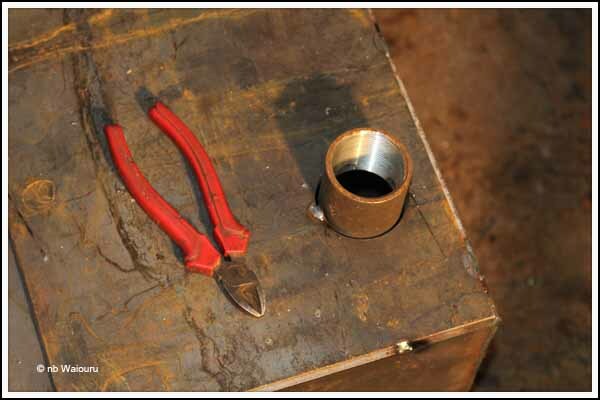 The socket for the tank gauge and inspection hatch will be constructed later.